Double Paralympic gold and team silver medallist Hanne Brenner will be in London next summer if her championship horse, Women of the World, is fit. Life Data Labs, the producers of Farrier’s Formula®, is proud to be sponsoring the pair from Wachenheim in south-west Germany. Hanne is a nine times German para-equestrian champion since 2002 and an individual gold and team silver medallist at the 2009 European Championships in Norway and 2010 World Equestrian Games in Kentucky, USA. Since 2007 she has ridden the horse “Women of the World” and won 15 international medals, including seven golds! The pair also regularly competes successfully in advanced level dressage competitions. But the 16-year-old chestnut Hanoverian mare, by “Walt Disney” out of the “Pik Bube” mare “Pik Lady”, has a history of hoof problems. She was suffering from laminitis six months before Hanne bought her in 2006 and, though the problem responded quickly to a different feeding and training regime, the mare showed persistent poor hoof growth and crumbling horn around the nail holes. “I used lots of products containing biotin and even tried using biotin alone, but without any obvious success,” says Hanne. “It’s only since I’ve been feeding Farrier’s Formula® Double Concentrate” in combination with the application of “Life Data Hoof Dressing” that there’s been a real noticeable improvement in my mare’s hooves.” Now Hanne is confident that “Women of the World” will soon have normal hooves – ideally in time for the London Paralympics. “Farrier’s Formula®” was created 30 years ago by Dr. Frank Gravlee, founder of Alabama-based Life Data Labs, to promote healthy dermal tissue in horses. He tested blood collected from hundreds of horses to determine which nutrients were lacking in horses with poor-quality hooves. 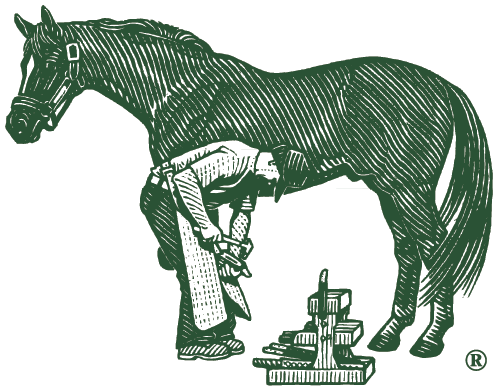 The supplement has been the number one recommended product by US farriers for 12 consecutive years. Hanne Brenner has been partially paralysed from the waist down resulting from a fall while eventing at Luhmühlen in 1986. Riding took a back seat for the next ten years, during which Hanne became a keen wheelchair basketball player. It was 1998 before she had a horse of her own again, but it did not take long for the competition bug to bite. The following year, in Denmark, she won her first world championship. Hanne now works for Lotto Rheinland-Pfalz, which is a big supporter of her sporting career.